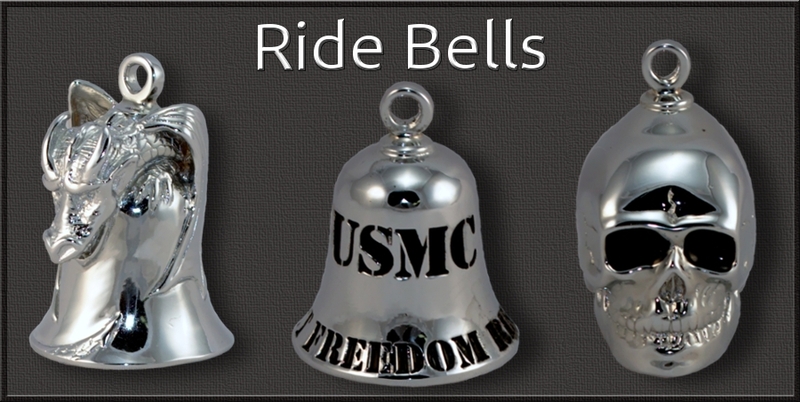 There are a number of myths about ride bells. The most commonly referenced "Legend of the Bell" states that the evil spirits of the road (whether the road of life or an interstate highway) are frightened off by a bell. We can't guarantee our bells will ward away evil spirits, but we do guarantee they are beautiful. Our bells stand out from all other ride bells with quality that is unmatched, you truly get what you pay for when you purchase a ride bell from Au Cornerstone! In addition to our Chrome Ride Bells, you can find them available in solid sterling silver.